With the colder temperatures upon us this week; we really want you to heat your home safely. 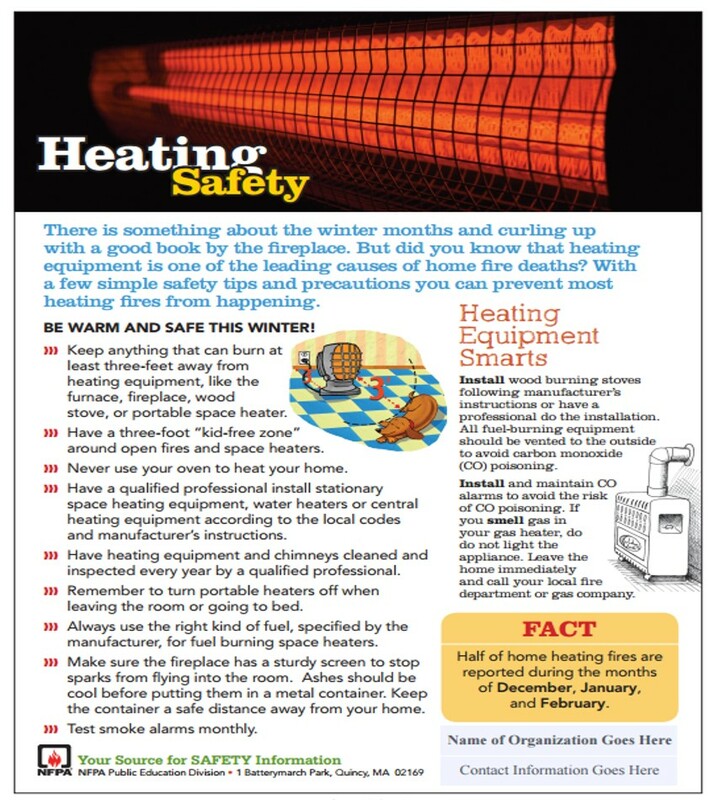 Heating equipment is a leading cause of home fire deaths. 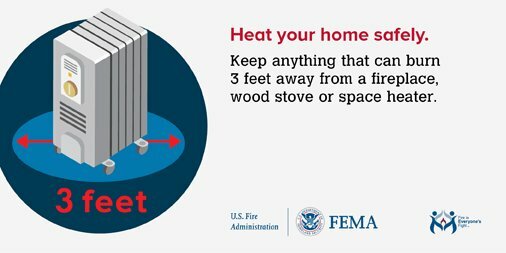 Keep anything that can burn at least 3ft from heating equip (furnace, fireplace, wood stove, portable heater). A scary statistic: space heaters account for 4 out of 5 home heating fire deaths!